Continuing the commitment to testing and certification, Pyroplex have worked closely with Vicaima UK, one of the leading European manufacturers of fire doors, to further extend its portfolio of test evidence for FD30 doorsets. 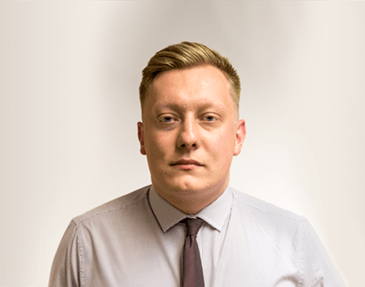 Pyroplex collaborated with Vicaima to develop a testing programme to increase the scope of approval for Pyroplex fire seals and glazing systems, and also to extend the scope of approval for Pyroplex related products within the Vicaima FD30 SDC fire door assemblies. 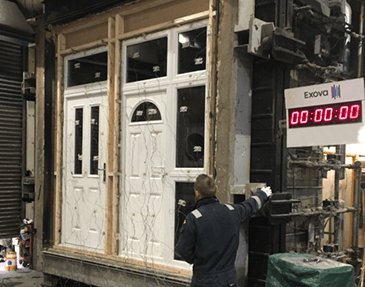 For the testing programme, Pyroplex engaged the expertise of Exova Warringtonfire as the principal fire testing authority to assist with the design of the specification of the doors. The doorsets were assembled by Exova Warringtonfire and the door blanks were provided by Vicaima, with all other materials provided by Exova Warringtonfire. The testing programme consisted of two doorsets, a single action single leaf, which incorporated a glazed aperture and the second specimen consisting of a single action, double leaf construction. Exova Warringtonfire constructed the plasterboard clad timber stud supporting construction and installed the specimens into the wall. When tested in accordance with BS 476: Part 20/22: 1987, both specimens achieved a significant overrun performance, further demonstrating the effective fire performance of the Pyroplex fire containment range of fire seal products. The successful test results strengthen the Pyroplex ever growing portfolio of tested and certified fire containment products and are testament to the depth of technical expertise and knowledge within the Pyroplex business. Further information is available on request, please contact sameera.ghalib@pyroplex.com for details. Composite Door Seal Testing in partnership with Liniar The Team Builds!